Pi Toolbox is a suite of flexible and powerful data analysis tools with development potential that can help you solve engineering and design problems. Its power and flexibility have been designed to assist and complement problem solving techniques employed by data analysis technicians and engineers. In addition to the standard Pi Toolbox Lite features, Pi Toolbox Pro enables users to view real-time telemetry. 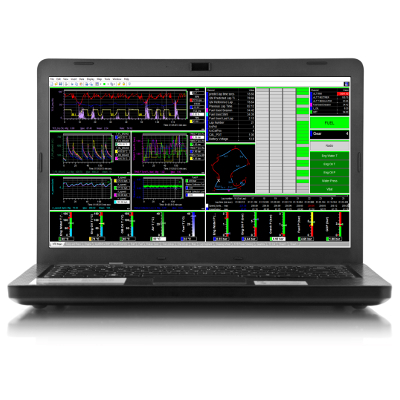 Pi Toolbox Pro also allows viewing of video fully synchronised to data to help the engineer visualize exactly how components are behaving. In addition to these benefits, Pi Toolbox Pro allows users to create workbooks with up to eight separate worksheets thus ensuring that data analysis is both rapid and user friendly.